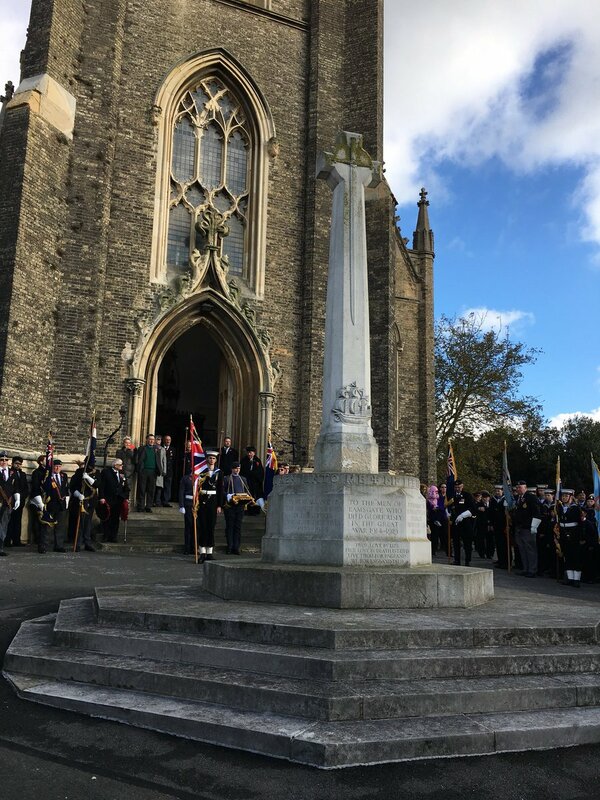 On Sunday 12 November Craig Mackinlay MP, South Thanet’s Member of Parliament, joined the Town Mayor of Ramsgate, Cllr Trevor Shonk, at the Service of Remembrance. After robing at the Royal Naval Association in Church Hill, the Mayor led a group of dignitaries, including the South Thanet MP, local councillors, the Deputy Lieutenant of Kent, Kent Police, the Harbour Master and Miss Ramsgate, in a procession to the Church. “Our Armed Forces personnel and their families are held with enormous regard in our country. “That is why it is right that the elected representatives in Ramsgate and the South Thanet constituency come together every Remembrance Sunday to honour the valuable contribution and the many sacrifices they make while protecting our freedom and keeping Britain safe.